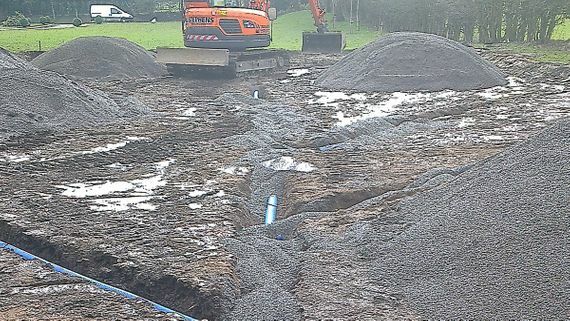 Our land drainage systems end the headache of waterlogged and unusable ground. With a thick layer of boulder clay lying across much of Cheshire, poor soil drainage is a common problem in the region. When soil doesn't drain, neither grass nor plants can thrive. 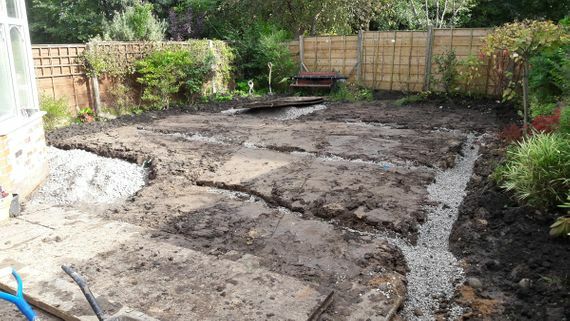 Don't live in the mud, call LCS Landscapes & Grounds, based in Macclesfield, Cheshire, we can help. As well as drainage, we also provide re-turfing to ensure that everything is as it should be. There are two types of land drainage systems. Primary drainage systems take groundwater into a network of perforated pipes, and secondary drainage systems move surface water quickly to the pipe network. Typically, creating effective secondary drainage involves digging in aggregate. This breaks up heavy soils and allows the rain to flow through fast. Often, the land needs a combination of both primary and secondary systems. Whether you're responsible for a sodden sports pitch that's unplayable for half the season, have a larger garden that's more swamp than lawn, or simply have an area of soggy ground you'd like to make better use of, we'll find the solution that will work best for you. 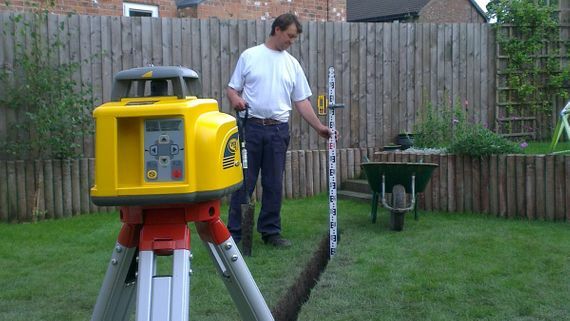 Contact us, in Macclesfield, Cheshire, to speak to our team about our drainage systems and re-turfing services.